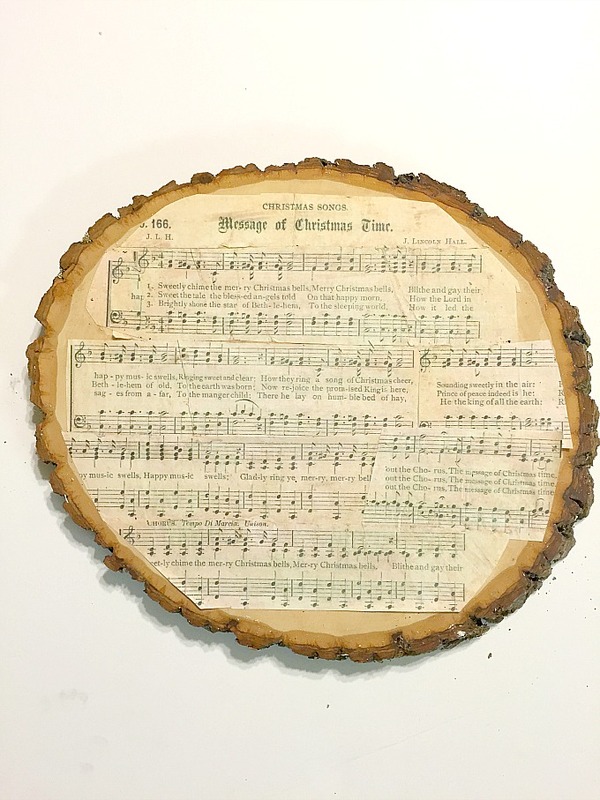 Bring some antiqued Christmas sheet music into your decor with this beautiful Christmas Wood Slice Plaque! 1. 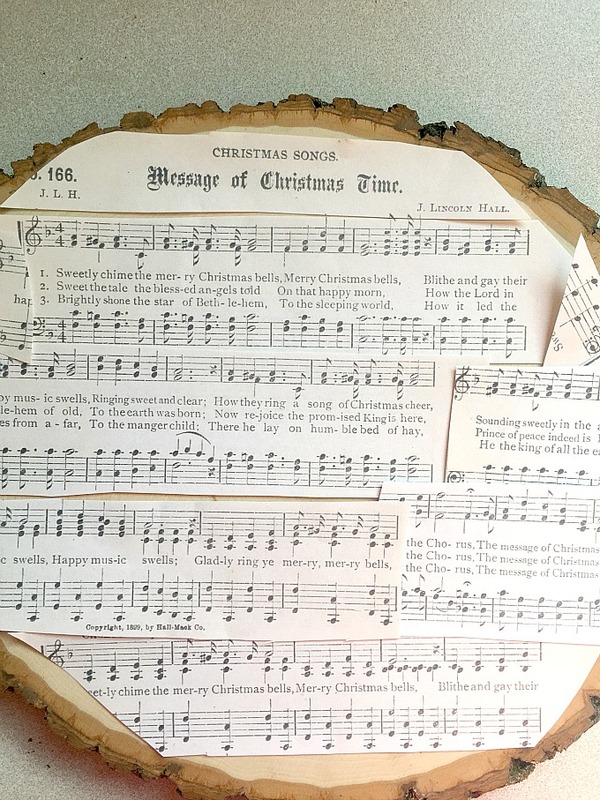 Cut your Christmas sheet music into strips and trim to fit on your wood slice. 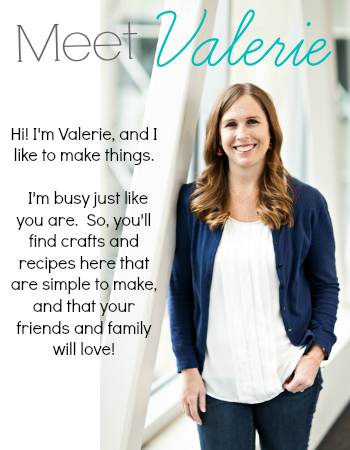 It took a little playing around with mine to get it how I would like it. 3. 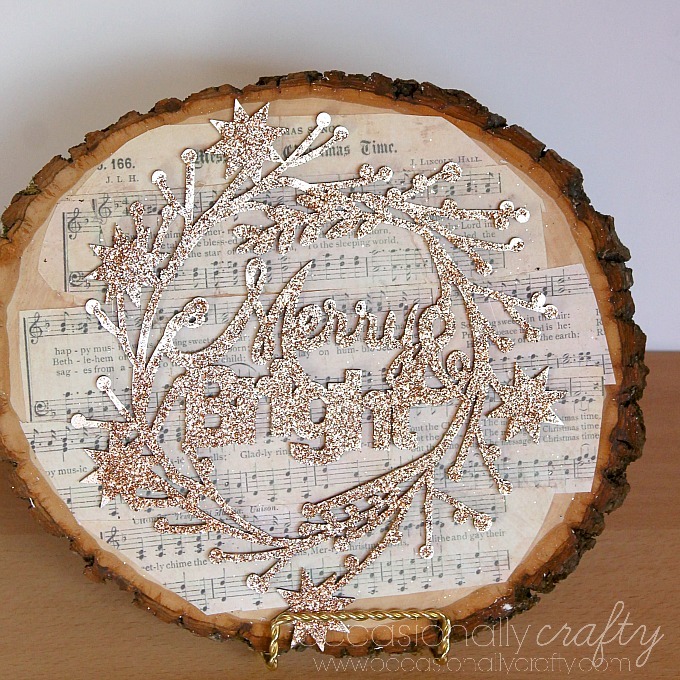 Apply another coat of Mod Podge on top of your sheet music. Since I printed mine with an inkjet printer, the Mod Podge kind of smeared some of the ink and made it look old and worn- which I loved! 4. 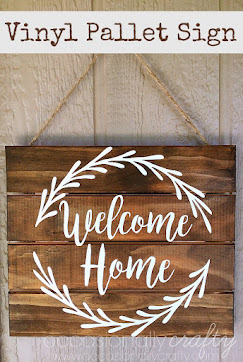 Paint your wood cutout with gold paint. Mine took two coats. After painting your LAST coat, IMMEDIATELY apply glitter all over the design before the paint dries. I literally dumped and spread a whole tube of glitter on this! 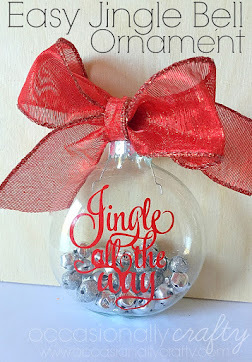 Make sure you do this on newspaper or something to catch the excess glitter to reuse. 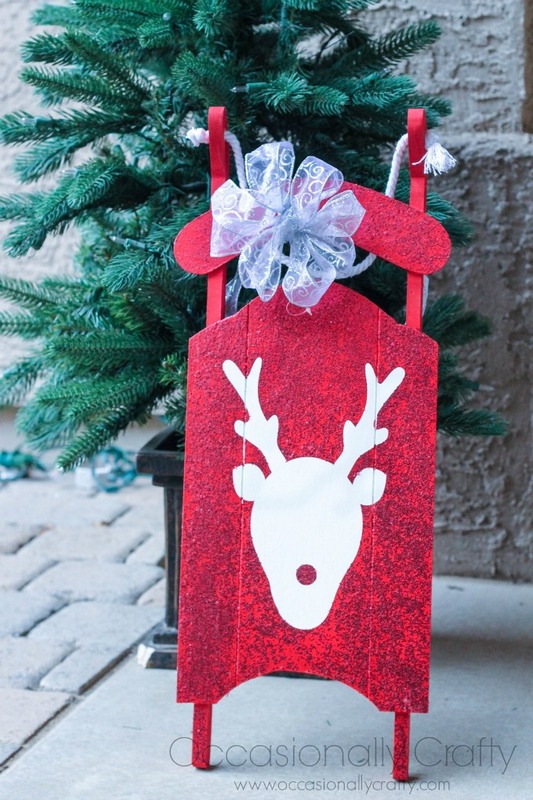 By doing it this way, most of the glitter will stay locked in as the paint dries. 5. Let dry, then shake to remove excess glitter. 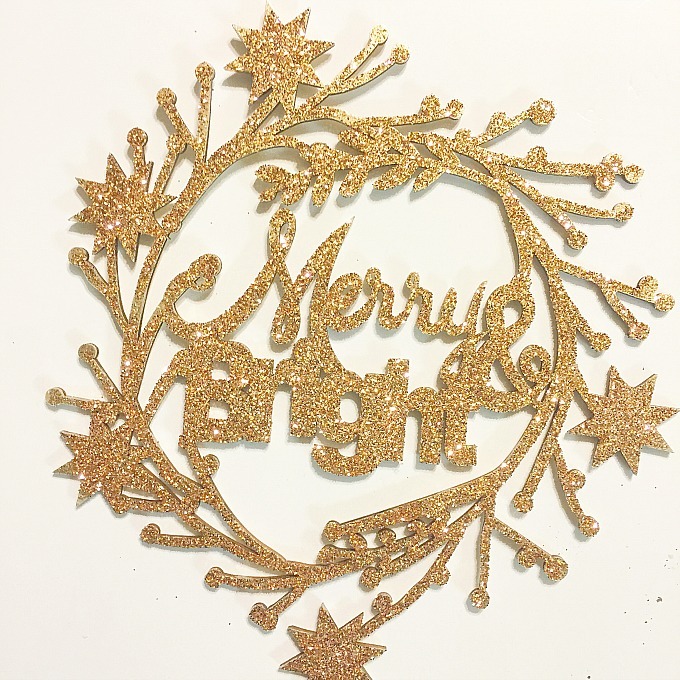 If desired, spray your cutout with a sealer to help keep the glitter in place even more. 6. 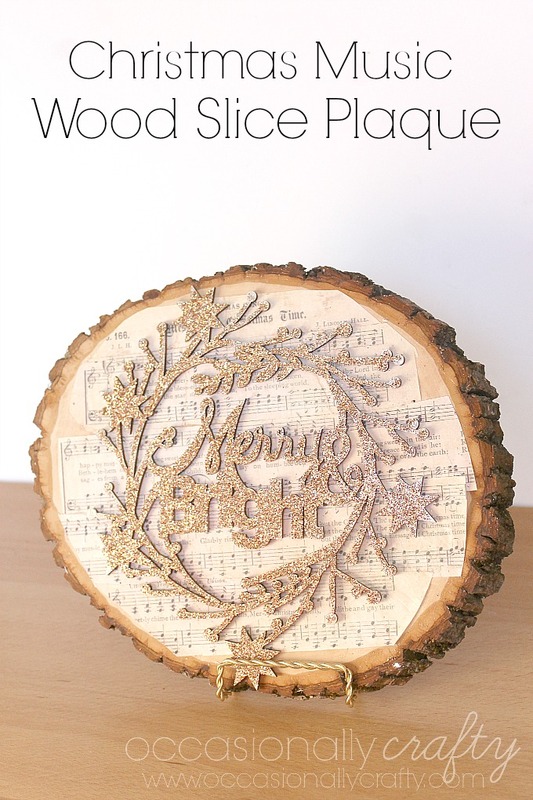 Hot glue your wood cutout onto your wood slice. 7. 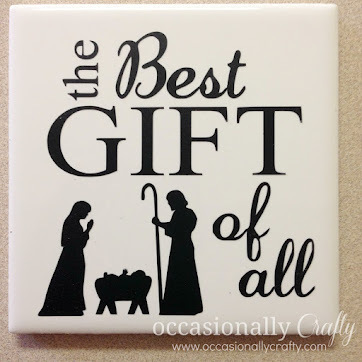 Display your creation on a small easel or prop up on a shelf. 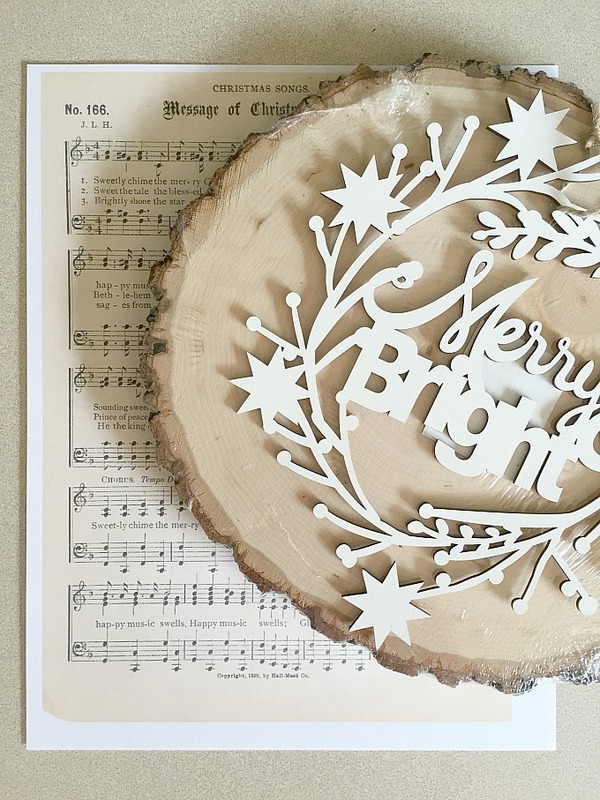 This adds a fun sparkly touch to your Christmas decor! 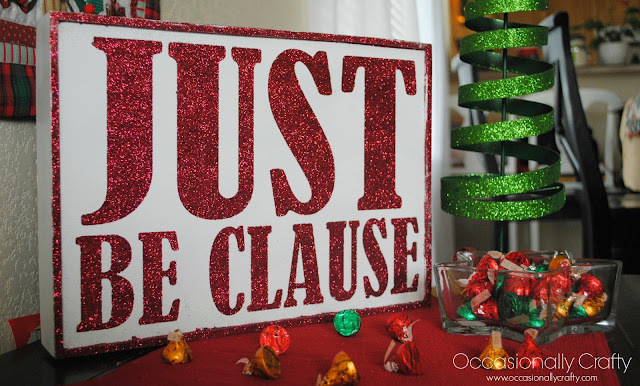 and this Wooden "Just BeClaus" Sign!